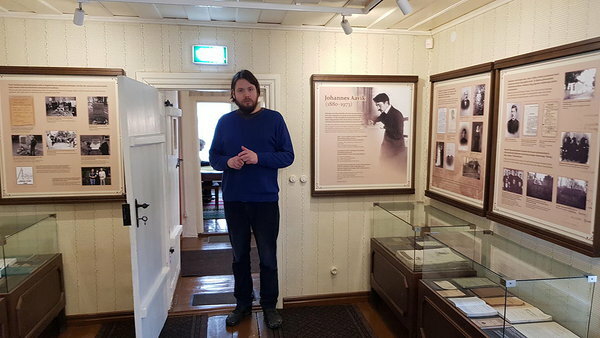 During the residency in Saaremaa Museum, artist Jass Kaselaan had an opportunity, as an outsider, to observe and experience the day-to-day routines of one of the oldest museums in Estonia. As a result, he developed a clear vision, almost an image of the museum as a special mind filled with diverse memories. In general, a museum can be seen as a social memory which in its essence is similar to human memory. The exhibits kept in the museum thereby earn the meaning of memories. Memories are in essence mental pictures stored in our mind or they can also be noted down. In the same way the exhibits are recollections of events, former times, people... Similarly to memories, some exhibits are more important, play a bigger part in self-identification – others are, on the contrary, considered irrelevant. 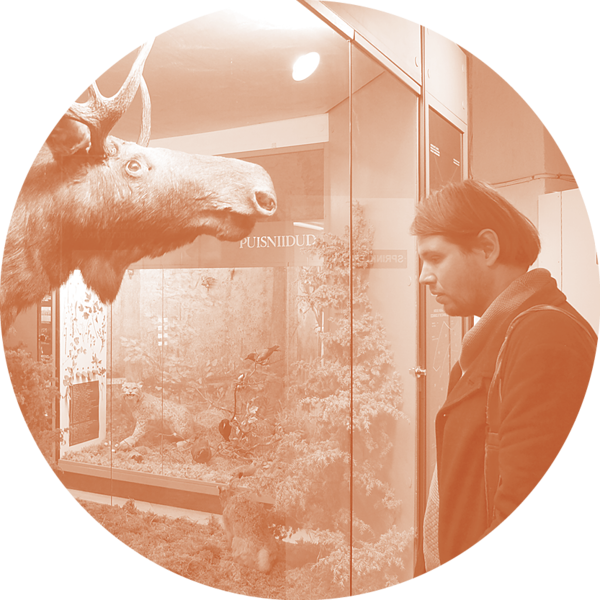 While familiarizing himself with the collections of the museum, Kaselaan was most fascinated by the exhibits/memories that had been left in the background, forgotten or did not fit any one definition. As a sculptor, what seemed most remarkable to him was an object of dolomite that was found during the TalTech Kuressaare College’s archaeological excavations. The form and distinctive features of the object resemble a human head of dolomite. Obviously the dolomite object does not date back to ancient times nor is it relevant in a historical or artistic sense, which from the museum’s perspective makes its value as an exhibit dubious. The artist, being interested in the pastness, takes on the role of a memoir archaeologist. The conceptual side of Kaselaan’s exhibition deals with memory, remembering, defining, forgetting and other generally human phenomena that arise in a concentrated way especially in the context of a museum. … graduated from Tartu Art College and acquired a master’s degree in Installation and Sculpture from the Estonian Academy of Arts. He is currently continuing his studies in the Academy’s Animation department. In the centre of Kaselaan’s creative work are mostly large scale installations of sculpture, audio and space. However, the totality characteristic of his projects is well thought-out to every last detail, always considering the theme and the space chosen for the project. 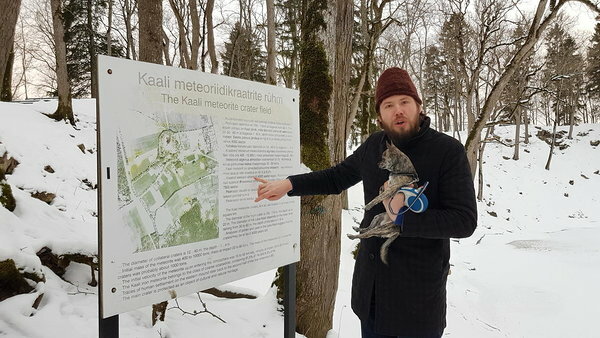 Kaselaan has received the Köler Prize First Prize (2014), Kristjan Raud Art Award (2014) and Anton Starkopf Scholarship (2011). Saaremaa Museum is one of the oldest (founded in 1865) and biggest museums in Estonia. 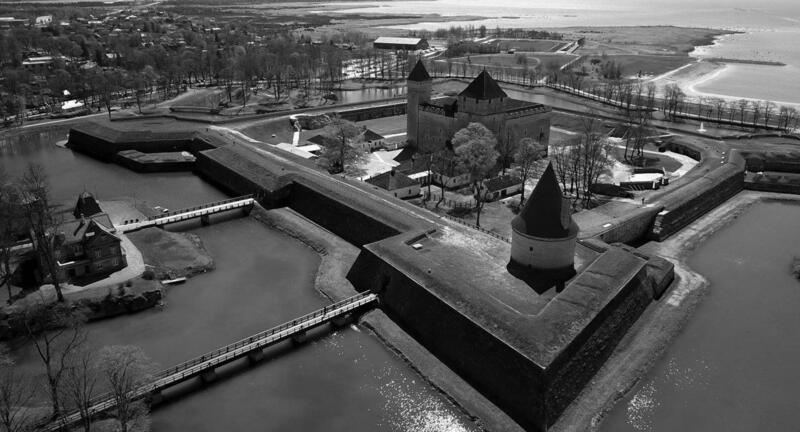 Kuressaare Episcopal Castle, commonly known as Kuressaare Castle, was founded in the 14th century. Inside the castle today, there is Saaremaa Museum – home to substantial permanent exhibitions of Saaremaa’s nature (in three halls), its older history (in three halls) as well as recent history (in seven halls) and various temporary exhibitions; there are concerts, theatre performances, stylized “bishop’s feasts” and other events held in the castle. The fortress, established between the 14th and 19th century, that surrounds the castle is a distinctive open air museum of military architecture where one can learn about the development of protective structures throughout the history. Jass Kaselaan’s museum residency took place 15—28 February 2018. The artist’s residency was supported by restaurant Arensburg in Kuressaare.